What’s the Best Medication for TMJ Treatment? Many people who have been diagnosed with TMJ will take medication in order to help them better deal with their discomfort and/or pain. This can be in a prescription form that they’ve received from their doctor or it can be pain medication purchased over the counter. Because there can be many side effects to taking pain medication, it’s always a good idea to try and effectively treat the problem instead. In simple terms, TMJ is a misaligned bite that needs to be corrected. Once this misalignment is corrected, there should no longer be a need to take any medication. 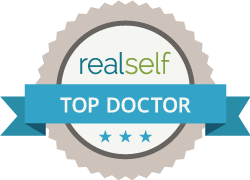 The best medication to treat TMJ is going to depend on you and your particular situation. Because there are varying degrees of discomfort and/or pain felt by those suffering from TMJ symptoms, medication options include acetaminophen, anti-inflammatory drugs (nsaids like aspirin or advil), muscle relaxants, anti-depressants, corticosteroids, and even narcotic painkillers. Although these medications may work temporarily to help soothe your pain, it’s only temporary making it important to understand that there is a need to actually correct the problem vs. continuing to take medication to hide the pain. Using narcotic drugs can actually increase your future levels of pain. Medications are usually used to help manage pain. 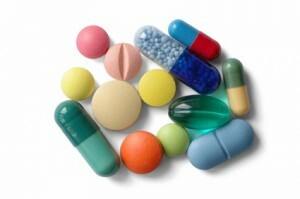 Although taking medications can help to relieve any ongoing pain and discomfort, they aren’t going to fix the problem. Receiving a TMJ diagnosis means that your jaw is not aligned correctly. This misalignment is going to affect the way you bite down, and the resulting pressure and strain on the jaw joint and surrounding muscles can lead to jaw pain, neck pain, back pain, headaches and even severe migraines. Because TMJ pain is difficult to live with, it’s a good idea for you to fully understand all of your options. Dental treatments, starting with a physiologic diagnostic and progressing to a long-term orthotic after successful pain relief and healing. In addition to long-term orthotics orthodontics and/ or a full mouth reconstruction, are available for long term stabilization after pain relief has been accomplished. An orthotic that’s been made specifically to help you, which is made up of a nearly invisible dental piece that fits over your teeth and helps to reposition your jaw to a comfortable position where healing of hard and soft tissues occur. . A full mouth reconstruction involves the use of treatments such as veneers, implants, and crowns to reshape your teeth so that they mesh together correctly. Reconstruction is only considered after your jaw is comfortably in a new position from the diagnostic orthotic and has relieved all or almost all of your symptoms. 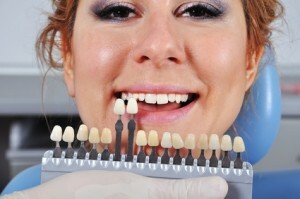 Could Dental Treatments Work for You? In order to understand if dental treatments could work for you, you’re going to need to have a complete evaluation performed first. It’s necessary to find out if the problem is indeed related to TMJ, we can then work together to choose the best remedy solution for you. Unfortunately, many oral facial specialists totally don’t understand or utilize physiologic dentistry. I don’t know your issues but pain is usually easy to treat. Getting insurance companies to pay, that is hard.